I find that ghouls are woefully underrepresented in the horror genre. Perhaps the problem has been that the definition of a ghoul is nebulous. I'm pretty sure I'd know a zombie, a vampire, or a werewolf if I ran into one on the street, but what exactly does a ghoul look like? Webster defines a ghoul as "a legendary evil being that robs graves and feeds on corpses." But even that definition is vague. Where does the ghoul come from? How is it created? Does it simply hang around graveyards and barrows or does it move about freely in other settings? There are few sources that tackle these questions, and the horror genre hasn't done much to clarify the matter. There haven't been many movies made about ghouls, and the ones that have been made haven't answered any of these questions satisfactorily. 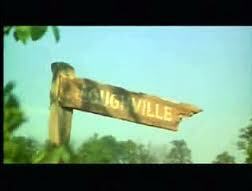 Are you going to Loughville? I sure would like to hitch a ride. In what ways are ghouls different than zombies? 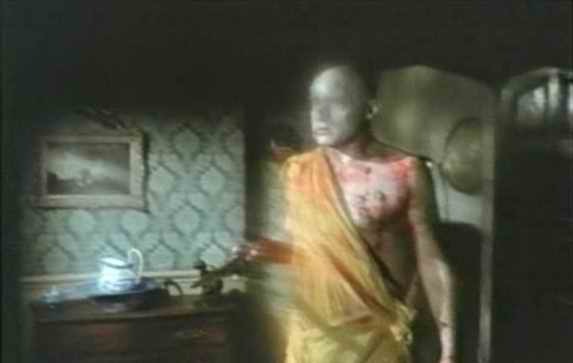 In the 1975 starring Peter Cushingmovie titled simply The Ghoul, his son is transformed into a ghoul through a perversion of the flesh by a wicked religious leader in India. For most of that movie we only see The Ghoul from the knees down. He is fed what we are led to believe on a diet of human flesh procured by his father and his mysterious Indian servant. Eventually we see the Ghoul in whole. But this does little to help us differentiate between a ghoul and a zombie. technically, all the creatures I have listed here fall under the banner of the living dead, but among each there is a clear differentiation of the method of creation, appearance, and abilities.A ghoul is said to be created by some perversion of the flesh, either by magic or prolonged wickedness, particularly cannibalism. But what binds a ghoul merely to places where bodies are interred? In this movie the ghoul is nowhere near a cemetery. So the confusion persists. In Roy Ward Baker's final film, The Monster Club (1981), also the final film of English horror studio Amicus, the third story centers around a village of ghouls called Loughville. 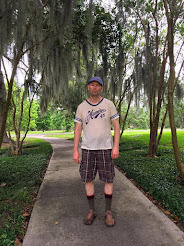 We learn at one time Loughville was a normal village where a ghoul just happened to stroll in one day long ago and was taken in by the local minister who attempted through kindness and the love of god to transform the ghoul into a human. But failed. The ghoul was seen one night in the churchyard feeding, and was driven out of Loughville. But for the one ghoul who was driven out twelve returned and danced to mark the place as their own. We never learn where the first ghoul came from or where the additional ghouls came from. We do learn that in this possible world the ghouls can breed with humans, creating a hybrid called a Humgoo. All we know about them is that have a taste for human carrion, but aren't considered evil otherwise. I would guess most humans consider the eating of human flesh, alive or otherwise, as an act of evil. Dungeons and Dragons depiction of a ghoul in The Monster Manual. The earliest descriptions of ghouls are from the Arab world, and involve hybrids of the djinn and perhaps a demon who inhabit graveyards and feed on the dead. But even in this tradition we learn little except that ghouls have an uncertain origin and their only consistent feature is that they inhabit graveyards and feed on the dead. Several questions arise that would seem to make the "life" of a ghoul complicated. If a ghoul is bound to cemeteries how does it remain undetected? What does it do when the cemetery is exhausted of human remains? None of these questions have answers in literature or the movies. I feel the definitive movie on ghouls is yet to be done and I await it with carrion baited breath.